Dump Truck— Pick up and drop off big loads with a powerful hoist bed! 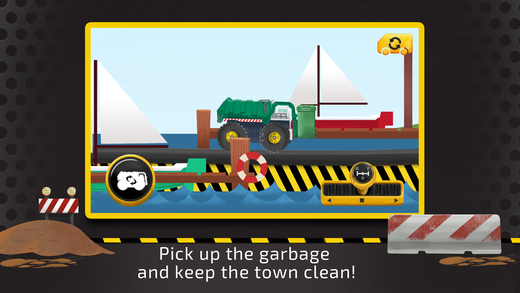 Garbage Truck—Pick up garbage & recycling with the lift and clear every mess! 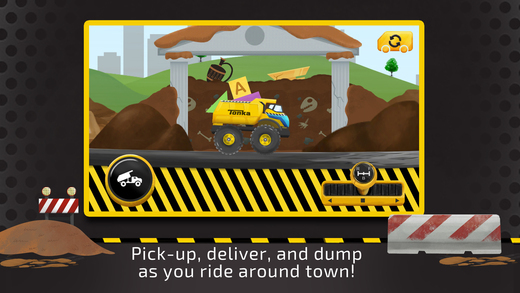 Bulldozer and Ripper: Clear obstacles, move piles, and chop up trees! 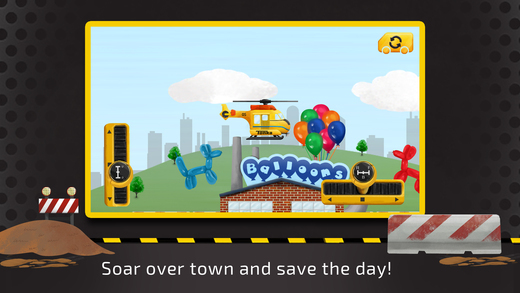 Helicopter– Powerful rotors let you pick up and move just about anything! 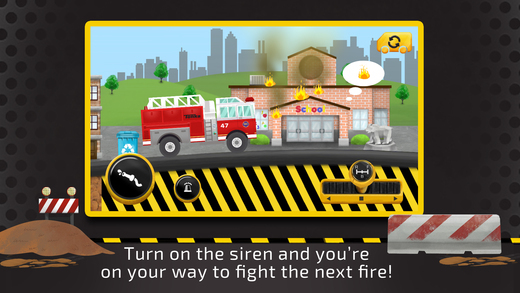 Fire truck—Fight fires, blast the powerful water hose, and run the siren! Museum—Deliver ancient treasures to bring the past alive! Dam—Clear it, build it, and work it! Balloon Factory—At least the helium makes the drama sound funny. Airport—From fires to lost luggage, it’s a busy place! Archeological dig—What old artifacts will we find? Harbor—Build it out and bring the boats in! 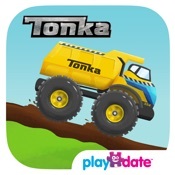 Construction Site—Deliver supplies and build a tower to the sky! Observatory—Fix the lens and see the stars! “Real world” environmental effects, including mud and rain, which can be cleared by shaking or swiping! 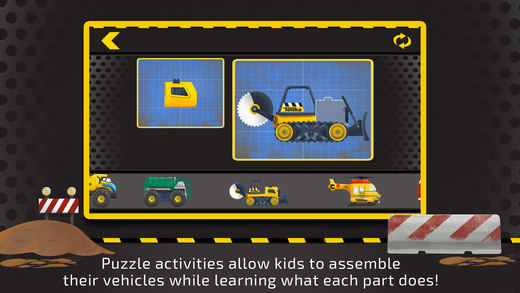 PUZZLE activities allow users to put together their vehicle while learning what each part does!